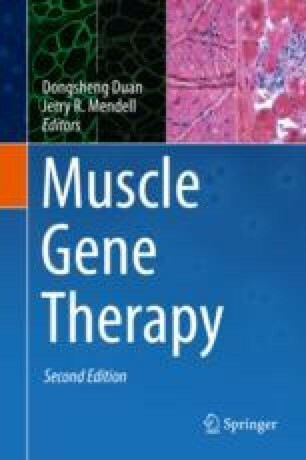 This chapter demonstrates an alternative mode of molecular therapy with the goal of restoring the DMD gene to achieve clinical improvement using antisense oligonucleotides (AONs). Preclinical studies were successful in mdx mice showing persistent production of dystrophin at significant levels in large numbers of muscle fibers. These experimental studies led to the clinical introduction of a 2′-O-methyl-phosphorothioate oligonucleotide (2’OMePS) and a phosphorodiamidate morpholino oligonucleotide (PMO) to induce skipping of one or more exons, restoring the reading frame and allowing for the production of a BMD-like dystrophin. This chapter reviews the clinical trial experience, the side effect profiles, and the basis for FDA approval of the PMO product, introduced as eteplirsen. Following approval the product is identified as Exondys 51®. The results of the long-term, 36-month clinical trial are described. The findings included a change in the rate of decline and prolonged ambulation in DMD boys compared to natural history controls. Exondys 51™ represents the first drug other than deflazacort (Emflaza®) ever approved for DMD.